See all your up to date most vital financial business information in one place. 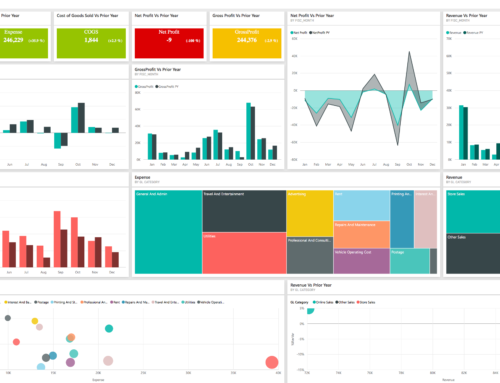 We have designed this Power BI financial solution to empower business owners and CFOs with quick answers to important business questions relating to profitability and expense management. Use the various slicers and drill-downs to interrogate the data from a variety of angels across numerous dimensions. Monitor important financial ratios and ensure your general ledger accounts are balancing as expected. All KPIs and metrics can be viewed compared to the same time last year or last month. The Profit and Loss report allows you to drill-down into underlying details and interrogate the data further.